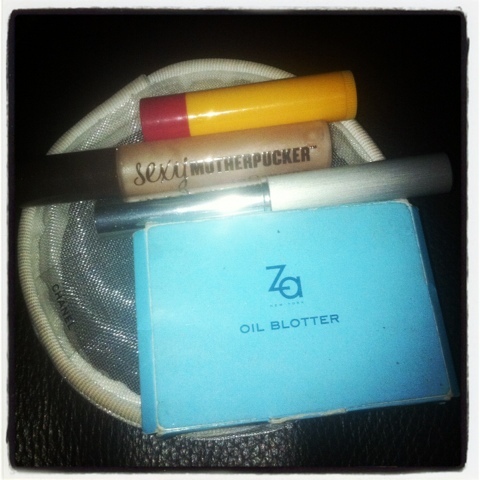 This is my little pouch at work with all my makeup – Burt’s Bees Pomegranate Lip Balm, oil blotters, Clinique Almost Lipstick in Black Honey and Soap&Glory’s Motherpucker. Belle demoiselle by dom and ksuan is licensed under a Creative Commons Attribution-NonCommercial-NoDerivs 3.0 Unported License. Based on a work at belledemoiselle.wordpress.com.